The demand within the global plant-based beverages market has been rising on account of key advancements in the food and beverages industry. Plant based beverages can be produced from multiple sources including coconut, soy, rice, and almond, and all of these sources endow a high nutritional value. Hence, the demand within the global plant-based beverages market is expected to reach new heights in the years to follow as demand for healthy drinks and beverages experiences an uptick. It is expected that the global market for plant based beverages would attract huge investment from multiple sources and investors due to the lucrative prospects of this market. Moreover, the presence of a huge number of market vendors in the global plant based beverages market would also reek of growth within this market. As the food and beverages shows a level of proclivity towards manufacturing healthy foods, supplements, and drinks, the demand for plant based beverages is expected to reach new heights. Considering the aforementioned drivers of demand within the global plant based beverages market, it is safe to assert that this market could be a safe haven for investors and stakeholders. The global plant based beverages market can be segmented on the basis of the following criteria: source, type, function, and region. Since the global plant based beverages market is directly related to the food industry, it is important to get a thorough understanding of these segments. A report on the global plant-based beverages market is an estimation of the forces and dynamics that could lead to the inflow of revenues into this market. Furthermore, the presence of a strong market base in the form of established vendors has also been explained in the report. The demand within the global plant-based beverages market is rising on account of the inclination of the masses towards consuming juices, drinks, and shakes with their regular meals. Furthermore, plant based beverages are made out of almonds, coconut, rice, or soy which makes them extremely sapid in taste. The eclectic appeal of the plant based beverages has also played a pivotal role in enhancing the growth prospects of the global market for plant-based beverages. 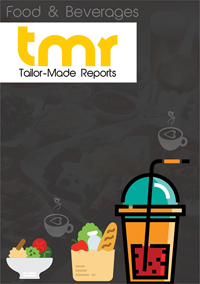 Besides this, the easy availability of plant based beverages across retail outlets and departmental stores has also led to market expansion in recent times. Plant based beverages are also used for the treatment of cardiovascular diseases which is a key prospects from the perspective of plant-based beverages market growth. Furthermore, regular intake of plant based beverages is also believed to prevent the occurrence of various types of cancers. People suffering from lactose intolerance consume plant-based milk as it helps in easing their digestion. The demand within the plant-based beverages market in North America has been rising on account of the growing inclination of the masses towards consuming liquid or semi-liquid foods in the US. Furthermore, the high rate of incidence of lactose intolerance in the region has also led to the growth of the regional market. Some of the key players in the global plant-based beverages market are Schmitz Cargobull (Germany), Lamberet (France), Fahrzeugwerk Bernard Krone (Germany), Great Dane (US),and Kögel Trailer (Germany).